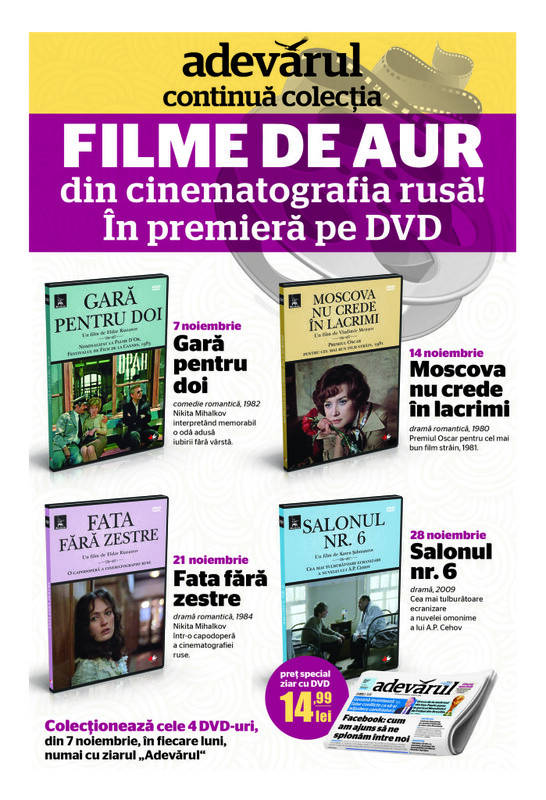 Artviva association continued the translation and adaptation of gold Russian Films for DVD in Romania. 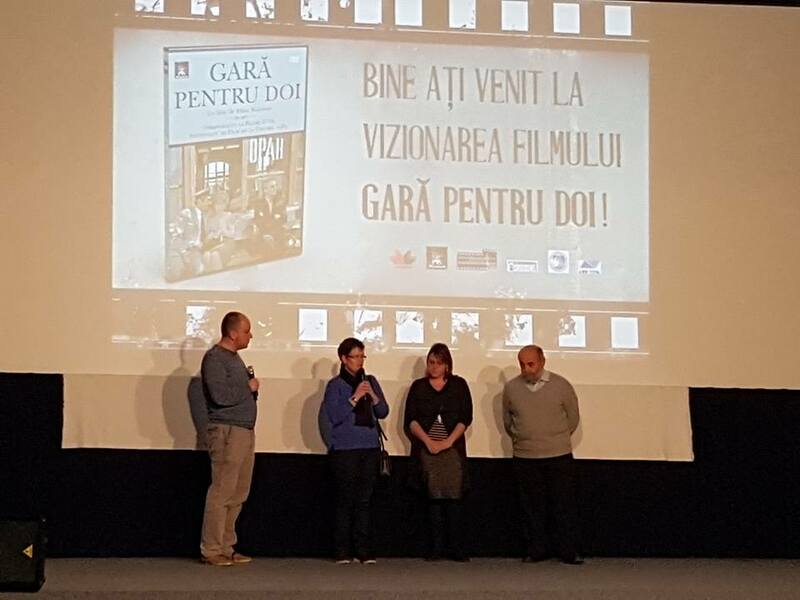 The 4th edition is launched in cooperation with the same partners: Adevarul newspaper, Litera publishing house, Mosfilm, the Russian Center for Culture and Science in Bucharest. The 4 DVDs will appear every Monday with the newspaper starting with the 7th of November. The launching event was hosted by Cinemateca Romana at Cinema Eforie on the 2nd of November when all the guests and audience could watch the first film of the series on a big screen: “Railway Station for Two”, director Eldar Ryazanov.